← Monday Question – Poll: How Many Perfumes Do You Own? The great Iris Murdoch would hopefully forgive me for appropriating her book title (she herself lent it from Rupert Brooke’s poem “The Old Vicarage, Grantchester”) for my review, but I find it so wonderfully fitting, I started re-reading this Shakespearean comedy of errors about love’s complicated ways, swathed in Dior’s Ambre Nuit and feeling terribly pleased with myself for finding apparently disparate things and bringing them together (which is a strange, but very satisfying hobby of mine). I have reviewed Ambre Nuit before (here), but I have had such an about-face since then that I wanted to give it the time and space to shine. Ambre Nuit was released in 2009 and created by Francois Demachy, it includes notes of bergamot, pink pepper, spices, Turkish rose, ambergris, gaiac wood, cedar wood and patchouli. 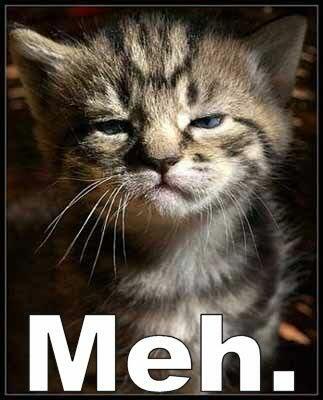 I believe the word I assigned to Ambre Nuit in my first review, the word I found characterized it best, was: Meh. Well, that is not true anymore. If we stick with short, but descriptive, my new word for Ambre Nuit is: Wow. So how did I get from Meh. to Wow! in under six months? I blame the name. Name something Ambre and you are bound to raise some expectations in your audience, namely that it would be an amber scent. Am I wrong? Ambre Nuit is NOT about amber, and while I did clock that in my first review, I guess I was also very disappointed by the fact, as I was looking for an amber, craving an amber and not getting one. Getting their hopes crushed and their cravings not met, tends to make people unhappy. Being confronted with something else instead, tends to dull the enthusiasm for that something considerably, therefore: Meh. Six months on, I did not “need” Ambre Nuit to be about amber anymore, I could take it for what it is, a dark rose perfume and a damn good one at that. I first re-encountered Ambre Nuit in the air at a most unlikely place, the restrooms at Heathrow airport. A woman trailed an exquisite scent in her wake and I just had to find out what it was, just before I could find the courage to approach her and ask, she passed the Dior counter that is right in the middle of the terminal – and here it was too. In a business savvy move reminiscent of Francois Coty and Estée Lauder, the salesman had sprayed the air around his counter with Ambre Nuit and it had apparently worked its magic on that woman and it started to work on me. Although, I was still hung up on my own outdated opinion of Ambre Nuit, so I didn’t pursue it further, but I did go for Patchouli Impérial, that I had already eyed longingly at Selfridges and Harrods the previous day. When I came home though, I couldn’t find my mini of Ambre Nuit fast enough. The reunion was a fabulous one. It smelled just as delicious on me than it had on that woman at the airport, and I almost regretted not getting this instead of the Patchouli. What got me from the first minute (and in a bathroom no less!) is the glorious sillage of Ambre Nuit. It smells good enough up close, but where it really excels, is when you catch a whiff of yourself, when it unexpectedly bewitches you when you move, when it seduces you with its delightful rose trail. This is a perfume for the space in between two people. Not a “come close and smell my skin” kind of scent, but a “follow me because you are enchanted” perfume. I tried to console myself with the dark roses I already have and a frenzy of dark rose days ensued: Lyric, Ta’if, Rose Oud, Mohur, they all came out and tried to help, but while I find them gorgeous in their own way, they could not slake the thirst for Ambre Nuit that was raging inside my greedy little soul. So I did what everyone in my situation would do – search ebay. I’m hoping for a lucky find of some amber lover’s disappointing reject to appear one of these days. This entry was posted in Amber, Dior, Dior La Collection Privée, Floral, Fragrance Reviews, Oriental, Patchouli, Rose, Woods and tagged Amber, Ambre Nuit, Dior, floral, Fragrance, Francois Demachy, La Collection Privée, Perfume, Review, Rose. Bookmark the permalink. I am so glad you reviewed this one again as I was dithering between this and mitzah which I felt may be too heavy for me, my worry for this one is that it is similar to le labo rose which I felt didn’t suit me. I will now do the deal for a whopping 250ml bottle of which I will sell decants off. As promised I will pm you with sellers details. Mitzah is a lot to take in summer, but wonderful when it is cold. Ambre Nuit works whenever. 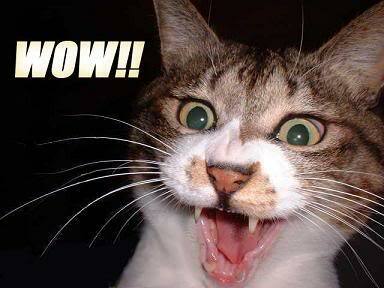 First, I want to say it again: I find that first cat picture just perfect. I smile every time I see it on your blog. Now, to the perfume. I really glad you’ve changed your mind about Ambre Nuit. I liked it when I tried it recently but then, as I was trying to figure out from which amber perfume to start (I had 3 on my “to buy” list), I went to read your reviews for them and decided to rely upon your taste. So I moved Ambre Nuit down the list (didn’t remove it though!). I’m not in love with it (yet?) and I plan to go through a couple of samples before I decide if I want more of it. But your review is just beautiful. I still think Ambre Nuit is not an ideal choice if you are looking for an amber perfume, but for its own sake it is just amazingly beautiful. I’m glad I got around to it. I got a big compliment on it just the other day, which really makes me happy. Loved reading about how your got re-acquainted with this perfume and fell in love. It’s one of the great things about fragrance. Gorgeous sillage counts for a lot and I’m wearing my sample today. Approaching it as a rose really does make a difference. It’s really rather yummy! I enjoyed reading your transition from ‘Meh’ to ‘Wow’ on this one. Funnily enough it was one of the samples I took away from your talk (along with Mitzah) and I’ve been falling in love with it. You’re right in your assessment that it’s not an amber, it’s a beautiful rose, almost like Rose 31 but with all of the rough bits smoothed out and a more amber-y, spicy base. Truly beautiful stuff! Oh and LOVE the kitteh pictures too! How is Paddington doing? All grown up already? We need pictures!!!!! So glad you are loving it too! It is beautiful stuff, and the sillage is amazing! For whatever reason I have been ignoring Dior. Perhaps it’s my annoyance about the reformulations of some of my favorites? But now I want to try La Collection, especially Ambre Nuit. You’ve made this sound absolutely irresistible! Argh! And after yesterday’s poll, I can’t possible justify purchasing another bottle of perfume. Or can I? I keep trying out rose perfumes. Lyric, L’Arte di Gucci, Rose 31. Must resist temptation. As unfortunate as the mainstream line of Dior perfumes has become, the Collection Privée is very well edited indeed. 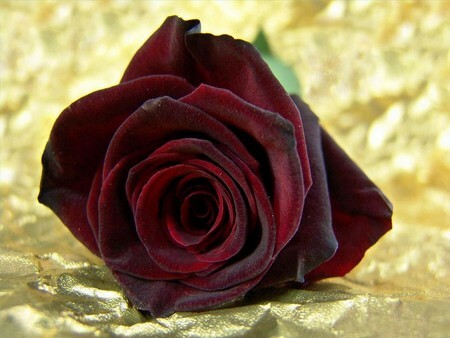 I love me a dark rose, this sounds so tempting. Lucky for me La Collection is impossible to find in Sweden! Well, you subconciously pushed me to sample the Aftelier line, and I think your invisible suggestion is pushing me to sample the Dior Privee line – something I keep dismissing. It’s great when you do a complete 180 like this, it takes some serious passion to revisit and rewrite a review like this so it must be good! I’m really very happy with Ambre Nuit now, it is well worth your time! Mine too, now, it’s such a beauty! 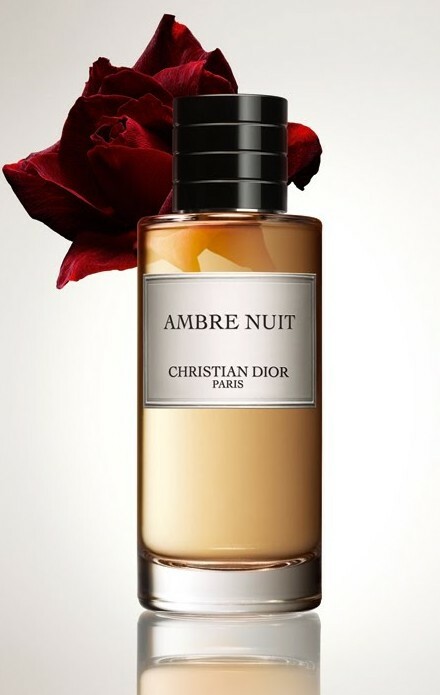 For me, Ambre Nuit is a salty ambergris backbone with a touch spices and nice subtle dark subtle rose accents. Very nicely done. I hadn’t though of it as a rose scent either until I saw the fragrance bros video review on it during their Rose Month Extraveganza for February. Do you detect the ambergris in the base of this scent as well? Actually I smell the ambergris as soon as I spray it on. I’m sure it’s not actual ambergris, but ambroxan or some similar aroma chemical. Its funny my decant had remained untouched and unloved for months hiding in a box. Had I’d known it was a great combo of my favorite two perfume materials, I would have been wearing it for months! How great is the Internet where you actually learn something from other bloggers/vloggers. How wonderful! It took me a while to realize this is primarily a rose perfume for me too! Glad you can enjoy this more now.